This is my really easy guitar arrangement for beginners of "Winnetou", the soundtrack of the movie series about the famous chief of the Apaches. 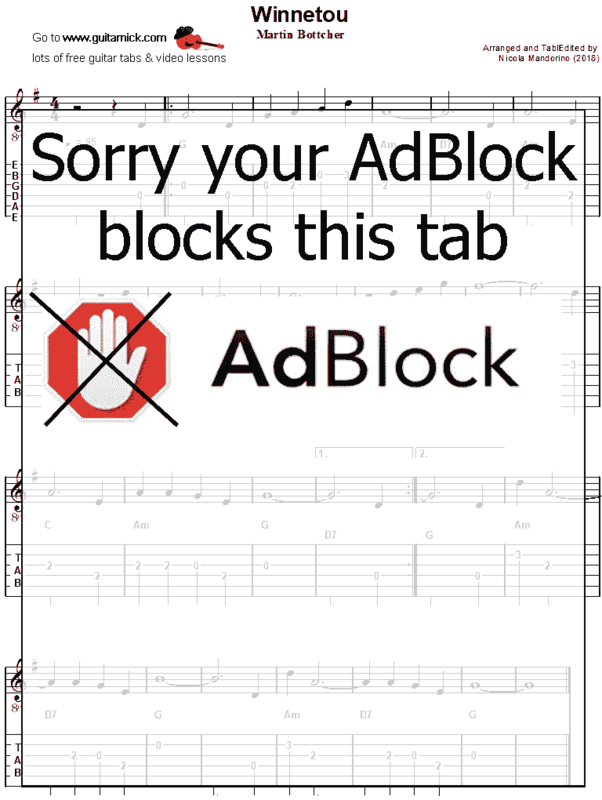 In this guitar lesson you find guitar tab, sheet music, video tutorial and backing track. 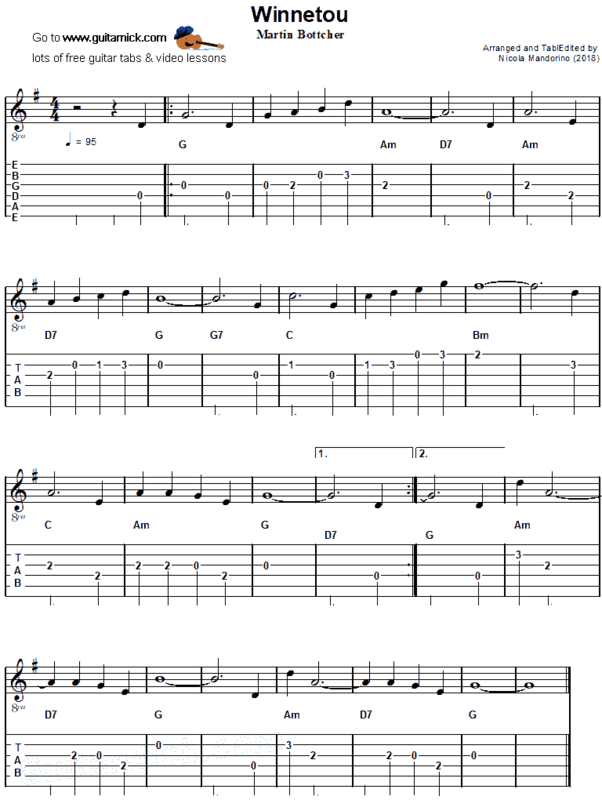 Chords: the chord progression for this song is easy with a few chords, G-Am-D7-C, pay attention to the B minor barre chord. For the accompaniment I used a simply slow arpeggio, its sequence is thumb - index - middle and ring together - index. Solo: the melody is really slow so this piece is perfect for absolute beginners. Backing Track: I recorded a guitar accompaniment track so you can play along or improvise over it. You can download the track by my Patreon page.